From 75 to 185 € the night I book ! 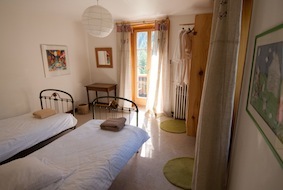 In Vallorcine, 20 minutes from Chamonix, the charming Bellevue offers spacious, light and airy rooms with balcony. Hearty breakfasts. Traditional, healthy guest meals proposed. Bar, lounge and Tv area. Warm and friendly wecome..
Chamonix, le Mont Blanc, Fondation Gianadda à Martigny en Suisse. - séjour Ski de randonnée hors piste avec guide de haute montagne. 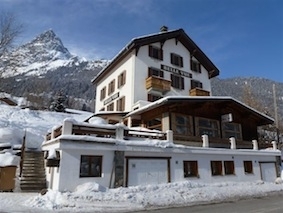 - ski de piste et de fond à Vallorcine. - randonnées pédestres, VTT, canyoning, pêche sur place. - golf de Chamonix à 14 km. 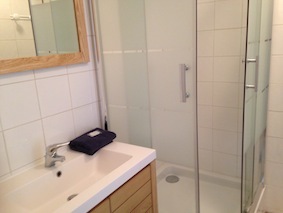 5 rooms, 2 with shared shower and WC, 3 with private bathrooms. 75 euros (1 pers. ), 100 euros (2 pers. ), 145 euros (3 pers. ), 185 euros (4 pers.). 2 gîtes aso for rent. Baby equipment, children's meals, games. 2 family suites. The closest station is Le Buet, located at 0.5 km. The closest airport is Genève, to 100 km.